Three qualities you need when seeking legal representation and the precise qualities clients find in attorney Robert P. Kline. For more than 20 years, Attorney Kline has been providing clients with fair, professional, and responsive representation. Kline Law Office is where big-city expertise is delivered with small-town trust, confidence, and respect. Business & Corporate Law — Whether you’re establishing a business or have owned a business for decades, Kline Law Office can provide the legal guidance you need to own and operate a business in Pennsylvania, including the selection and formation of business entities, contract matters, litigation, and collections. Our clients include sole proprietors, partnerships, family-owned businesses, limited liability companies and corporations. Real Estate Law — Kline Law Office can help you navigate the legal intricacies of purchasing or selling residential or commercial property, including acquisition, financing, sale, and leasing of real property, including representation in tax-free exchanges of real estate. Settlement Services and Title Insurance — Attorney Kline has more than two decades of experience in the real estate and title insurance industries. Whether you are purchasing a new home or refinancing an existing mortgage, all real estate settlements at Kline Law Office are conducted by an attorney who can provide timely legal advice, usually at no additional cost to the buyer. Estate Planning and Administration — Protecting your assets for the future is crucial. Kline Law Office provides a full array of estate planning tools, including wills, trusts, powers of attorney and living wills. Kline Law Office also guides estate executors and administrators through estate administration to ensure assets are distributed in a timely and efficient manner. Criminal Defense — If you find yourself under investigation or charged with a criminal offense, Kline Law Office can offer fair, courteous defense representation to protect your rights and ensure fair treatment throughout the criminal justice process. Traffic Defense — A traffic citation can seriously impact your driving record as well as other aspects of licensure, including potential employment. Kline Law Office will work to ensure that your rights are protected and make every effort to minimize the impact on your driving record. 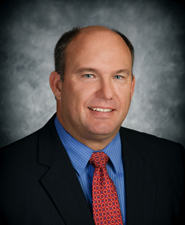 Rob Kline has been practicing law in Cumberland County, Pennsylvania, since 1990. In 1996, he opened a private practice in the heart of his hometown, New Cumberland. He is a graduate of Trinity High School; Hampden-Sydney College, Virginia; and the T.C. Williams School of Law of the University of Richmond. Attorney Kline is a member of the Pennsylvania and Cumberland County Bar Associations, the Pennsylvania Land Title Association, the Greater Harrisburg Association of Realtors and the West Shore Chamber of Commerce. He invests in his local community by participating in the New Cumberland Old Towne Association and has coached area youth football, basketball and baseball teams. Attorney Kline is also an elected member of the New Cumberland Borough Council. Please call or e-mail for an initial consultation regarding your legal needs.